I have listed a new property at 3371 TCHESINKUT RD E in Burns Lake. 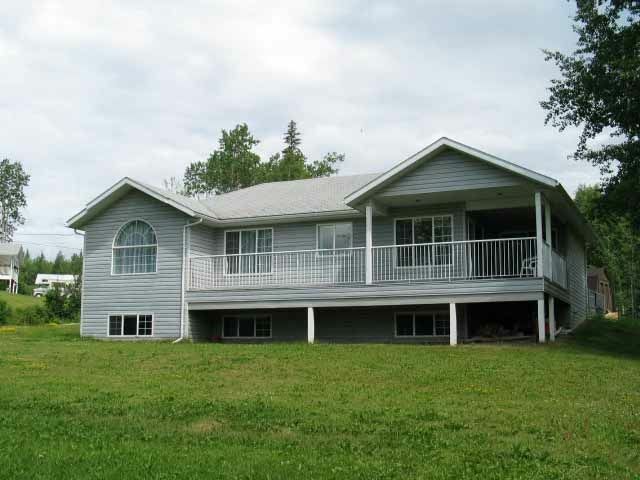 A three Bedroom Executive home, with 9 ft ceiling, Geothermal heat with electric backup, over 400 ft of low bank waterfront on Tchesinkut lake, and fully landscaped with trees for privacy. For comfort there is a double sided fireplace between the Living room /Sun room area andthe Dining /Breakfast Nook. Finishing includes maple cupboard, ceramic tile crown molding. Entertain/barbeque on the 1400 sq ft deck with a good view of the lake. The deck has a hot tub at one end and a 240 sq ft screened in Gazebo at the other end. The Yard has a 2 car free standing garage and shop, brick sidewalks, a picnic area with a fire pit and a Garden spot. The drive way is paved from the road to the two bay attached heated garage.